Out of all our senses smell is one very powerful sense, which can makes us imagine things/ places which we have never seen before. Smell has a great effect on our mood. Right fragrance for the occasion is always needed to set the right atmosphere. I believe that I have very sensitive nose, which identifies smells very distinctly then others I know. I love to use nice fragrance at my home as that sets the right mood and spirit for me. So when I came to know that Godrej wants the bloggers to come up with a crowd inspired fragrance, I closed my eyes and started thinking of places I have visited in recent past. Recently I came back from the USA, so most of the places which were coming in my mind were from there only. During my trip to the USA I wanted to visit all the places I missed in my last trip. The list was long and time was short, so I had to think over some places again, Napa Valley was one of them. Being someone who is not so much into wine I was suspecting what Napa Valley has in offer for me. But When I went to Napa Valley I loved it so much that I ended up going there twice. Napa has this beautiful strip where you see vineyards on both sides of the road. All the vineyards offer wine tasting for their signature wines to visitors. 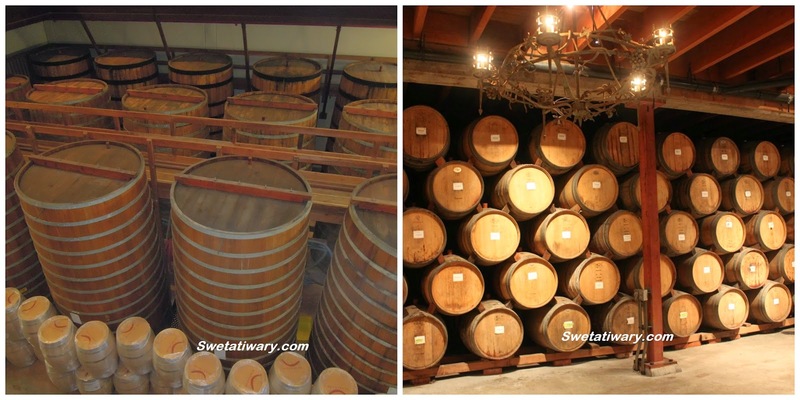 As soon as you enter any vineyard you get to see grape plantations and lots of happy faces J Every vineyard has a storage places where the grape juice is stored in wooden barrels. There are different types of woods used to make the barrels, and the wood used gives the distinct taste, texture and smell to the wine. The storage places always has this smoky, woody smell filled inside it which is enough to makes you feel like trying some wine. Also in the tasting area the wine is mostly severed with different types of cheese and freshly baked bread sticks. The aroma of fresh cheese and smoky wine is something you get in every nook and corner of that room. This is a deadly combination of smells which makes you happy and hungry at the same time, if this smell is used in dining rooms or in any high-end restaurants I am sure all the guests will feel more hungry than usual. The plantation areas are usually big and open. It offers lots of greenery to your eyes and sweet ripe grape smell for your nose. 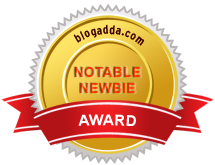 P.S: This post is written for the contest organized by Godrej and Indiblogger. Its summer time and to keep our self hydrated its must to have lots of fluid intake. I have been very reluctant to drinking water from childhood itself. I hardly drink 2 glass of water in one full day. As a child I drink only 1/4th glass of water with every meal, my concerned mom used to tell me the impotence of drinking adequate amount of water for human body. But for me the water always tasted so plan and boring I never felt like drinking it. So my mom came up with an idea, she stayed giving me all sort of fruit juices and flavored water to increase my fluid intake. This worked for sometime but once I got used to, I stopped drinking that too. Then My dad came up with a brilliant idea or getting me a nice bottle which was in shape of a bear, I stared drinking juices and water again because I was in love with my bottle. Any juice or drink filled in the transparent bottle used to look very lovely and appealing. There on I am a big fan of fancy looking glasses, bottles and tumblers. They actually make the drink look beautiful, just by looking at it you feel like drinking it. Just imagine your favorite mint lemonade is served to you in a steel glass, will you enjoy it as much as when its served in a crystal see-through glass? Seeing the pieces of mint leaves and ice in the glass with a ring on lemon on the glass rim improves your desire to have that lemonade and hence the same lemonade tastes better than the one in steel glass. Then it becomes not just a drink to quiche your thrust for you but beautiful feast for your eyes as well. Tasty food is not always beautiful food, but beautiful food is mostly the tastiest food!! P.S. - This post is written for the My Beautiful Food contest organized by Indiblogger andBorosil. The Way to Man’s heart goes through his stomach but starts from his eyes!! There are two types of people in this world, one who live to eat and others who eat to live. I fall in second category, I never cared about food. Anything which had proper salt as was available to me I ate. But I got married to someone who falls in a different category altogether. My husband is a foodie, who loves his food. He is someone who doesn’t believe in quantity but in quality of food. After marriage the first and the biggest change happened in me was the improvement in my culinary skills. For his love for food, I stared reading food blogs and subscribed to many food channels to learn new recopies but I failed to get perfect 10 from him every time. I made his favourite breakfast Aloo poha, by following the same recipe which I learn from his mom. It tasted almost same, but he was not impressed. I made his favourite Daal tadka by following exactly same recipe from master chef Sanjeev Kapoor. It tasted good to me but he was not impressed. I went through tones of videos and made delicious Dum Biryani, he ate full plate but still did not praise my food. I was heartbroken and decided to give-up on cooking. I poured my heart to him and said I will not cook anymore, and he should better hire a cook. That was when he told me that he loves my cooking, my food tastes good and the effort put to learn all the dishes is something he adores but what my cooking lacks is the presentation skill. I opened my eyes “obviously the second one.” I said excitingly. “You see, you tasted the food with your eyes and selected which one is worth getting tasted by your tongue.” he was smiling like a proud parent. I got my most important lessen of cooking that day from my husband. I was already feeling hungry after talking of food and so I prepared Dum biryani that day. I served the steaming hot spicy Dum briyani nicely garnished with deep fried onion slices and mint leafs in a beautiful serving bowl. I served chilled Raita in a glass bowl with coriander leaves dressing on it and a plate full of nicely cut cucumber, onions and tomatoes followed it. My husband loved the way the food was presented and I felt proud of my cooking. P.S. 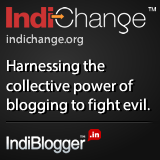 - This post is written for the My Beautiful Food contest organized by Indiblogger and Borosil.